The Xiaomi Poco F1 is all set for its first sale today. 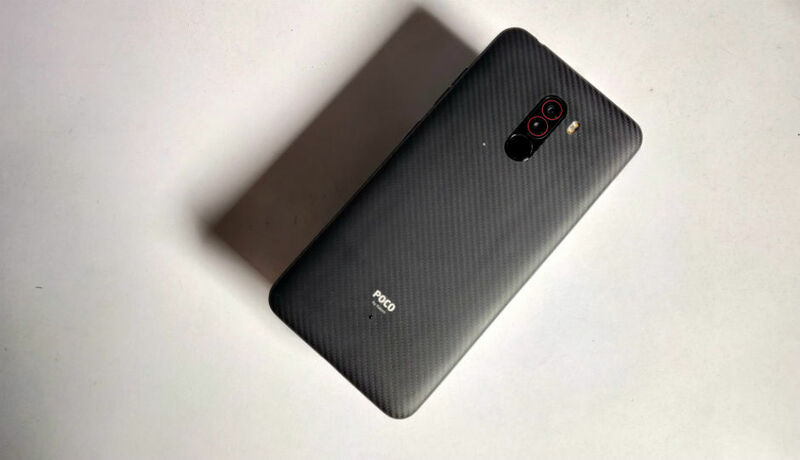 It is a Smartphone that is launched by Xiaomi but is under the sub-brand named Poco phone. The sale will be starting at 12 pm today on Flipkart and Mi.com. The Smartphone will be available in three storage options- the 6GB RAM + 64GB memory, 6GB RAM+ 128GB memory, and 8GB RAM+256 GB memory. The prices of these Smartphone variants are Rs. 20,000, Rs. 23,999, and Rs. 29,999 respectively. The sale details have been announced with the launch of the phone Poco F1, and the discounts, cashback, and other offers have also been listed as well. Customers who have HDFC Bank Credit or Debit cards will get a cashback of Rs. 1000 when they purchase the Poco F1. The users also get a cashback option when they choose the No cost EMI option while buying the Poco F1. The customers of Reliance Jio will get instant benefits of Rs. 8000 along with the 6TB of free 4G data. These benefits will be split for the Jio users in the form of Rs. 2,400 in cashback, and the rest cashback on flight bookings, hotel booking through MakeMyTrip. Along with all these offers, customers who buy the Poco F1 on Mi.com will get a free subscription for three months on Hungama Music. If they want, the can also avail accidents and liquid damage protection at only Rs. 1, 099 through Mi protect. The Smartphone specifications of Poco F1 come with a 6.1-inch Full HD along with the resolution display, it comes with a plastic polycarbonate body and liquid cooling design. One of the Smartphone variants the 8GB RAM variant is also introduced with a Kevlar Back that is sturdier than others. The phone runs on the latest Qualcomm Snapdragon 845 processor and is based on the MIUI 9.6 over and above the Android Oreo 8.1, and it also comes with a 4000mAh battery as well. The dual camera configuration of the Poco F1 is something that the customers will love. It has been vertically stacked, and as it comes with a 12 MP primary sensor, the 5MP secondary lens helps offer depth-sensing. It equips a 20MP front camera and has AI-backed features as well. It also comes with a Poco Launcher that van is offered on the home screen.